Tunnels might not have the fantastic views that mountain passes have, but they offer a shorter route and faster journey times. 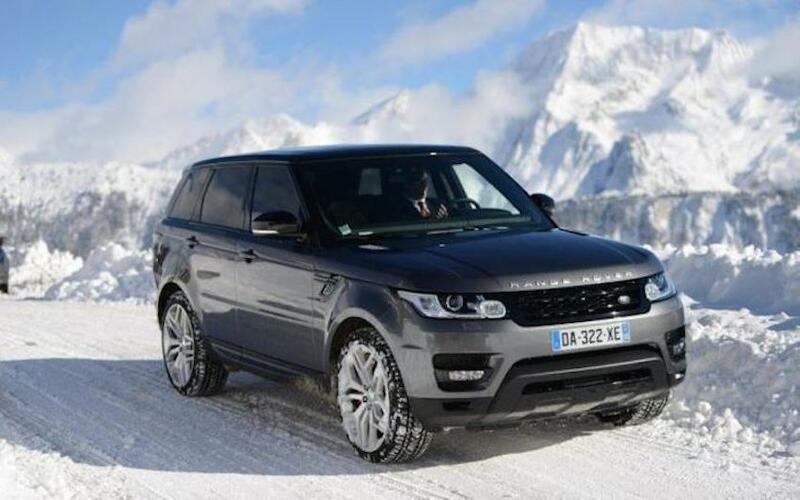 They’re also accessible year round unlike narrow alpine roads. Not to mention, the unique drive beneath an amazing topography. Avoid the harsh weather conditions this winter by taking one of these alpine tunnels that represent the finest feats of human resourcefulness and engineering. It’s even better if you can whizz through them in a luxury car rental. The 11.6km Mont Blanc Tunnel is an engineering marvel and one of the longest road tunnels in the world. It was opened in1965 and links Chamonix (France) to Courmayeur in the Aosta Valley (Italy). It was mainly built for tourism and regional trade purposes with the journey taking an average of 17 minutes. The entrance is just outside Chamonix and the Italian border is 7.6km into the tunnel from the French side. It reaches an altitude of 1381m in Italy, but the tunnel is deep within the rock; at the midpoint, the rock above the tunnel is nearly 3kms thick. Safety is paramount, so the maximum speed limit of 70km per hour is strictly adhered to, as is the minimum of 50km per hour – there are heavy fines in place for those who break the rules. The Gotthard Pass has always been an important symbol of Switzerland’s culture and national identity. It’s the centre of the Alps, the cradle of the Swiss Confederation, the scene of resistance against wartime occupation and, most importantly, the link between northern and southern Switzerland. The Gotthard Tunnel is equally significant. The first rail tunnel opened in 1882 and at 15km was the longest in the worlduntil 1906 and the Gotthard’s 16.9km road tunnel was a similar record-breaker when it first opened in 1980. Last summer, a brand new rail tunnel (Gotthard Base Tunnel) was opened after almost two decades of construction setting a new record as the longest and deepest tunnel in the world. The 57km tunnel is located 2.3 km below the surface of the mountains and travels through rock that reaches temperatures of 46C. The Base Tunnel an amazing feat of engineering, but we still prefer the road tunnel as the perfect arena to test drive a supercar like the ultra-luxurious Aston Martin Vanquish. As the world’s fourth longest road tunnel and Austria’s longest, the Arlberg Tunnel is certainly a man-made marvel. The tunnel was built between July 1974 and December 1978 in the northern corner of western Austria’s Rhaetian Alps. The 14km tunnel connects the two towns of Langen (Vorarlberg) and Sankt Anton (Tirol). Before the tunnel was built, there was only one way across St. Christoph and St. Anton: the Arlberg pass. This mountain road exceeds 1,793m at its highest spot and is dangerous to drive in bad weather, so the new road tunnel was a welcome relief. It’s a safe alternative to the mountain pass and it’s currently used by more than 8,000 vehicles per day. The Fréjus road tunnel connects France and Italy through the Northern Alps. The 12.87km tunnel is the sixth longest road tunnel in the world. It operates between Modane in France and Bardonecchia in Italy. It is one of the major trans-Alpine transport routes and hosts 80% of the area’s commercial road traffic. It has been an important link in the connection between Rome and Paris (via Turin) since it was opened in 1980. Authorities are planning to build a future high-speed rail tunnel to further improve transit capacity between France and Italy. However, we’d rather take a spin through the road tunnel in a Ferrari Spider as a nod to the tunnel’s Italian connection.